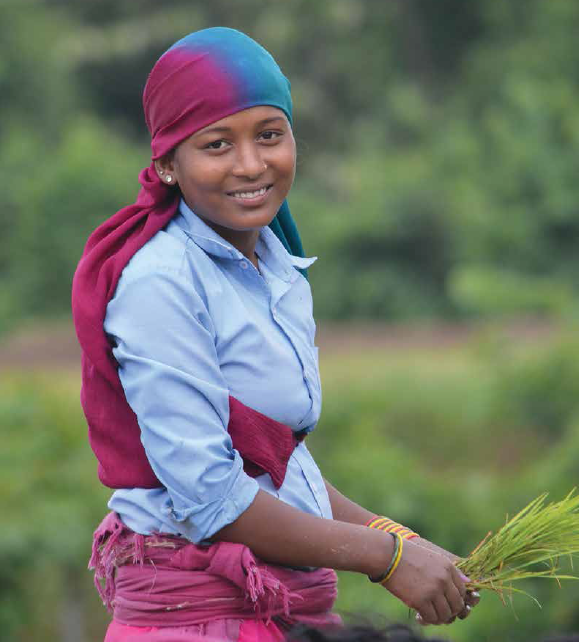 Recent UNFCCC decisions on REDD+ safeguards have incorporated the gender dimension. In the UNFCCC Decision agreed during the Conference of Parties (COP) in Cancun in 2010, countries implementing REDD+ are requested to address “inter alia, drivers of deforestation and forest degradation, land tenure issues, forest governance issues, gender considerations and the safeguards identified in paragraph 2 of annex I to this decision, ensuring the full and effective participation of relevant stakeholders, inter alia, indigenous peoples and local communities” (Decision 1/CP.16 paragraph 72). 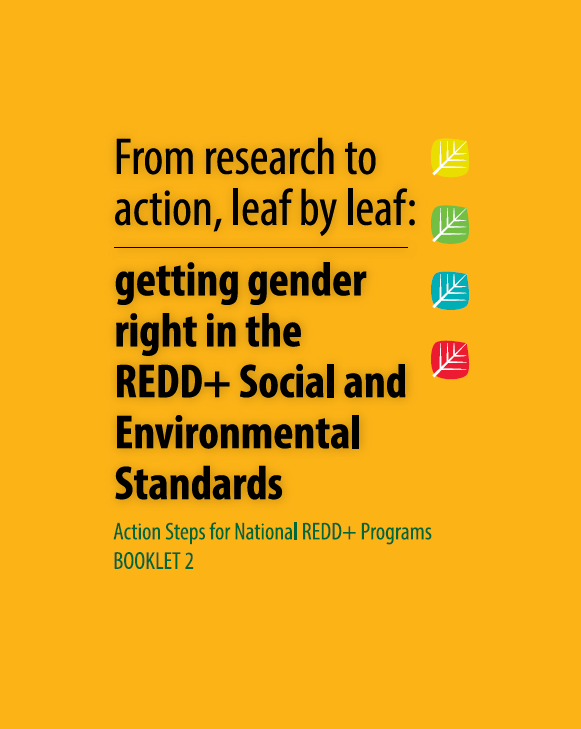 During UNFCCC COP17 in Durban in 2011, countries also agreed “that systems for providing information on how the safeguards referred to in appendix I to decision 1/CP.16 are addressed and respected should, taking into account national circumstances and respective capabilities, and recognizing national sovereignty and legislation, and relevant international obligations and agreements, and respecting gender considerations: (…)”. 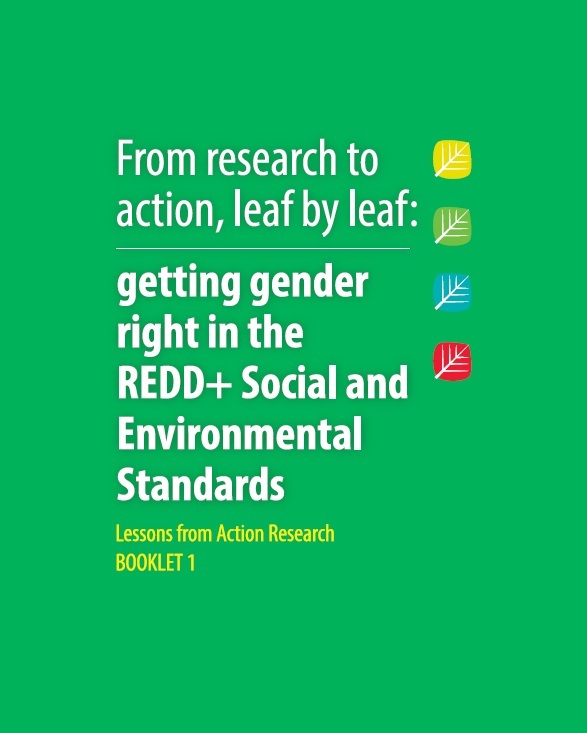 Ensuring that gender considerations are taken into account in the implementation of safeguards will prevent situations that reinforce negative gender dynamics and norms and guard against new practices that may worsen relations between women and men, limit women’s fulfillment and enjoyment of their rights, marginalize women or place them in a vulnerable position. It will also be an opportunity for promoting positive gender practices that can begin to influence attitudes and behaviors about women’s and men’s roles, rights and responsibilities and promote gender equality. Booklet 1 - Lessons learned from action research describes the development of the action research project, the methodology and process of the action research, the baselines developed in each of the 4 countries, the steps to design a gender sensitive strategy or program, and the research outcomes.